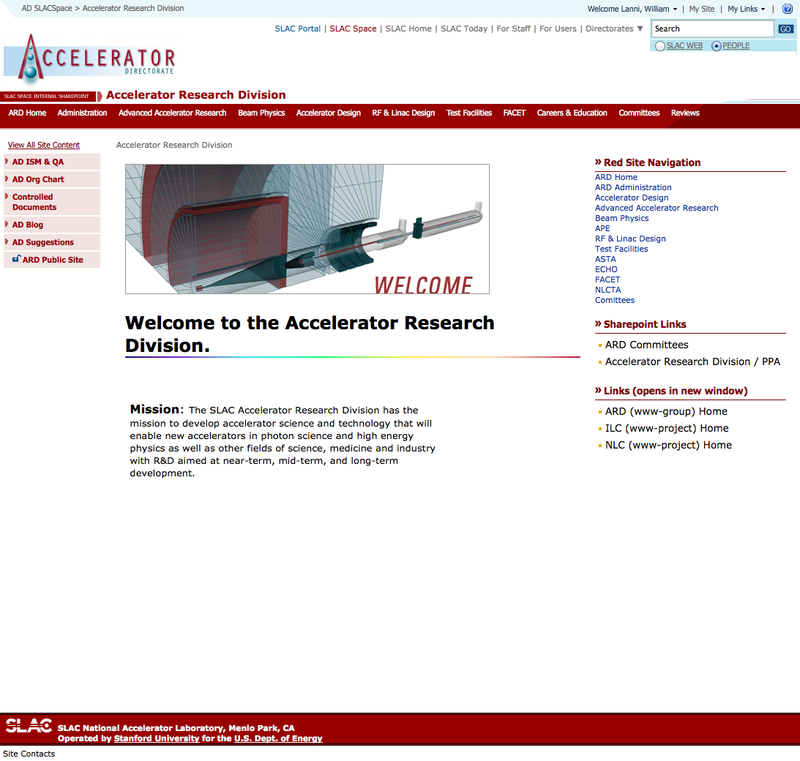 SLAC National Accelerator Laboratory is one of 10 Department of Energy (DOE) Office of Science laboratories and is operated by Stanford University on behalf of the DOE. 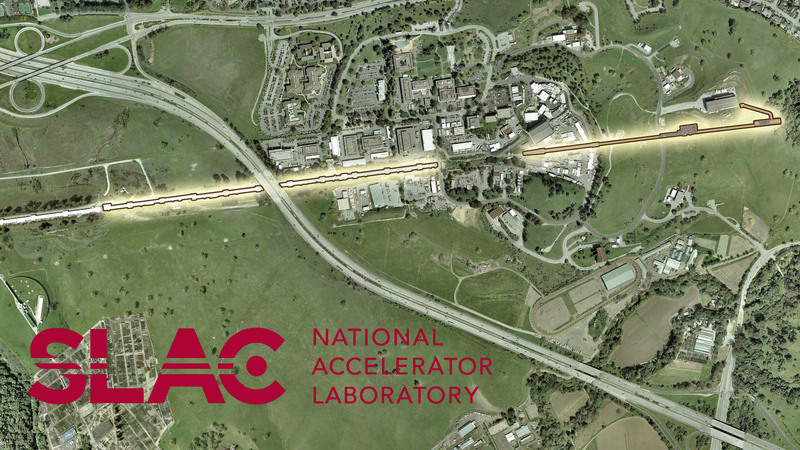 SLAC’s two-mile-long linear accelerator (or linac) began a new phase of its career with the creation of the Linac Coherent Light Source (LCLS). The Accelerator Directorate, which includes LCLS, adopted SharePoint as a CMS to put the control of content directly into the hands of the many scientists and contributors that do work at SLAC. In order to accomplish this, the LCLS and Accelerator Directorate looked to SharePoint 2007 as a CMS for their public facing sites, and as a document repository, meeting and information collection, and internal information portal for their intranet. I was brought in originally as a sub-contractor for Planet Technologies, in the capacity of interface design—the initial request from SLAC was for a designer who could both create user friendly interface designs for the infamously “ugly” default SharePoint interface, as well as integrate and administer functionality to make the management of SharePoint easier for the staff and scientists working in it. My initial responsibilities were then extended to working with different divisions and teams within the organization to help promote adoption of SharePoint. This required the capacity to do requirement gathering and create solutions to address a wide variety of user pain. The initial SharePoint 2007 builds made use of a very simple interface design that clearly distinguished whether a user was using an internal protected site, or an external public site. 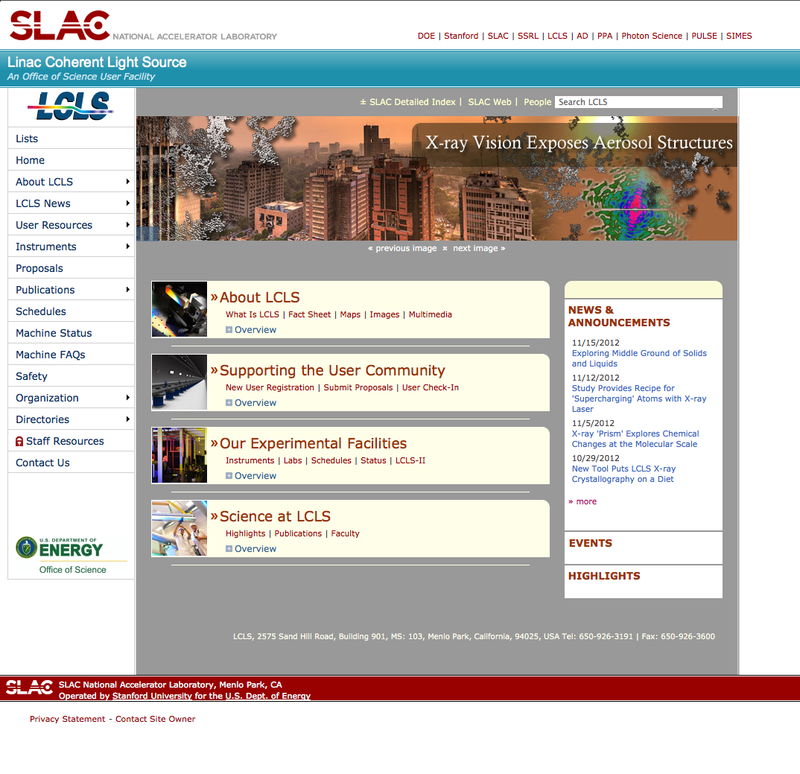 I was also responsible for simulating the existing SLAC LCLS public site design in SharePoint to create a seamless user experience between SharePoint hosted pages and other UNIX based hosted pages. Early in 2012 SLAC upgraded to SharePoint 2010. I spearheaded redesigning and converting the 2007 site master pages into a single set of branded “Features”, making installing and updating the updated design and custom page templates a breeze. 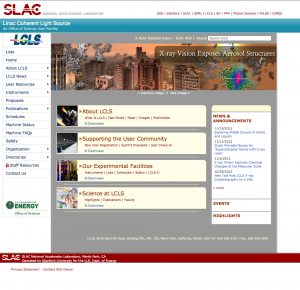 Recently, SLAC updated its web branding, and I’m making use of that Feature to update the CSS and roll out a new look and feel with minimal re-installation of masterpages, page templates, or existing pages.